The rap trio from Phoenix have started the year off with a bang, dropping track 'Jawbreaker' in January and now they’re back with new single 'Jailbreak The Tesla feat. Amine' ahead of releasing their self-titled debut album later this year on Loma Vista Recordings. They moved their studio from the Phoenix dental office where Corey’s grandfather practices to a house in Altadena, California. 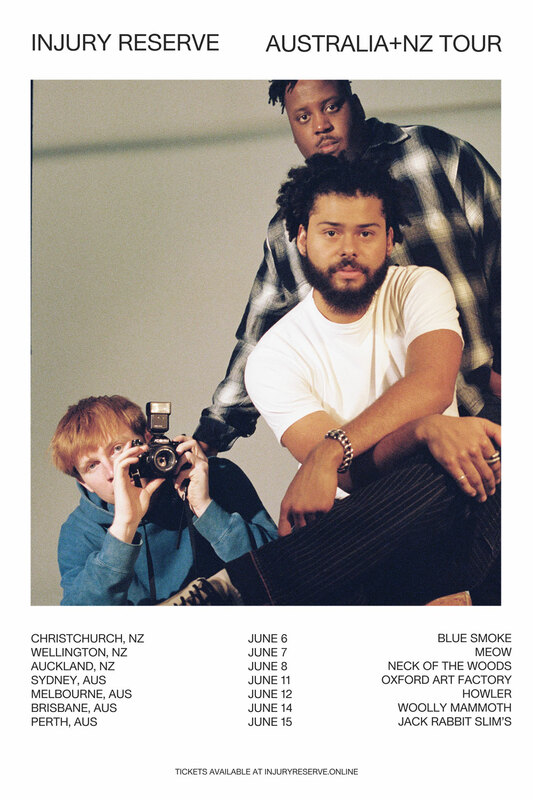 Following a sold out world tour, they inked a new deal with legendary A&R Hip-Hop as part of Loma Vista Recordings & are prepping their debut studio album, self-titled, Injury Reserve, for a May release date.